Obituary for Lillian I. 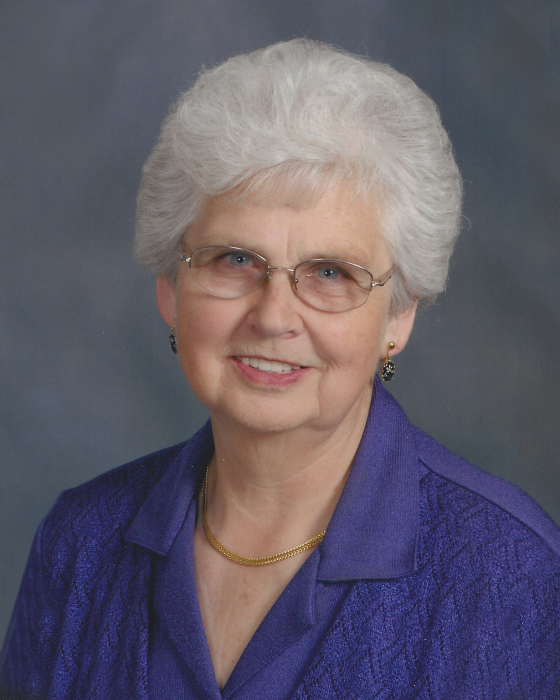 (Krenz) Krueger | Peterson Kraemer Funeral Homes & Crematory Inc.
Lillian Ida Krueger departed this life on March 31, 2019 and is now with Jesus and all the faithful in heaven. Lillian was born September 10, 1933, in the Town of Pine River, to Elmer and Elsie (Baumann) Krenz. After graduating from Wausau East High School she married Ruben Krueger at St. Pauls Lutheran Church, Town of Berlin on October 4, 1952. They were happily married for 42 years. Lillian loved her family. She partnered with Ruben on the dairy farm and later growing ginseng. She was always busy; cooking, baking and working in the barn milking the cows, working with and supervising the weeding crews in the ginseng or caring for grandchildren. Lillian always had a large garden. She canned vegetables and meat and made jams and jellies from the berry patches. It was always her job to keep the books for the businesses. Whenever there were work crews at Grace Lutheran Church or at the parsonage, where she was a member for most of her life, Lillian was there helping. In her later years, she was a member of Mountain Of The Lord Lutheran Church. Survivors include her children Sandra Krueger of Portage, MI, Daniel (Susan) Krueger of Wausau, daughter-in-law Marilyn Krueger of Wausau; grandchildren Andrew (Megan) Krueger of Mazomanie, Rebecca (Robert) Myszka of Wausau, Katherine Krueger of Wausau, Daniel (Bonnie) Krueger of Wausau, Luke (Elizabeth) Krueger of Marathon, Jacob Krueger of Jackson, MO and Leah (Bradley) Buffinton of Wausau; great-grandchildren Madilynn and Clayton Myszka and Lilliana and Charles Buffinton of Wausau; brother Franklin (Lorraine) Krenz of Appleton; sisters-in-law, LaVila Luedtke, Edgar, Mavis Krueger, Wausau, Marilyn Krueger, Grendale,Inez Grohman, Merrill, half-brothers, Carl (Roberta) Vendor and Art (Connie) Vendor, all of Montana, half-sister, Violet Tharp of Montana; and many nieces and nephews. She was preceded in death by her parents; husband Ruben; children Randy and Sharon Krueger; and brothers, Elvin, Milton and Harold. A funeral service will be held at 5:00 p.m. Monday, April 8, 2019 at Grace Lutheran Church, 6720 County Road A, Wausau with Rev. Joel Wilitz and Rev. Andrew Buschkopf officiating. Family and friends may call beginning at 2:00 p.m. until the time of services at the church. Burial will follow in the Town of Berlin Cemetery. A special thank you to the staff of TLC for Seniors and Azura for their tender care and concern given to Lillian and to Aspirus Hospice in her last days. The family requests that memorials be directed to Mountain Of The Lord Lutheran Church, Rib Mountain, Grace Lutheran Church, Village of Maine, or to the Alzheimer’s Association.